Fans of the Guacamalee! series from Drinkbox Studios but yearning for a physical copy to add to their library can pre-order their copies now. Thanks to Leadman Games, physical copies are being made for sale this May for $39.99. Guacamelee! 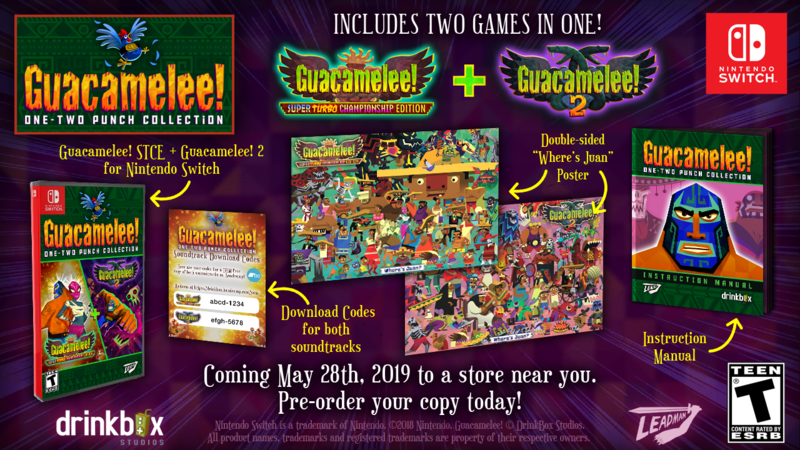 One-Two Punch Collection comes not only with a physical copy of the games, but also a full manual, a double-sided poster, and downloadable copies of each game’s soundtrack. With Guacamelee! Super Turbo Championship Edition costing $14.99 and Guacamelee! 2 costing $19.99. Guacamelee! One-Two Punch Collection with be available for Switch and PS4 on May 28 for $39.99 and you may pre-order your copy today.